Very friendly staff; the house is a dream to relax and calm down; we enjoyed the stay a lot. Very nice and comfortable accommodation with the host welcoming us upon arrival. Everything was very clean and of good standard. 1. Everything was just great. 2. The most authentic place to stay in Norway. At least on our route. 3. Even though the personnel didn't speak good English, their hospitality was the best. 4. We were the only 4 customers and were given the house that could fit at least 10 people. Fantastic accommodation ..Rondane NP is visible from terrace of the house...Amazing view..quiet place and amazing nature. Fantastic location. Just a couple of kilometers from the famous sohlbergplassen. The living room downstairs have glass windows on two sides with amazing views to the snowy peaks. 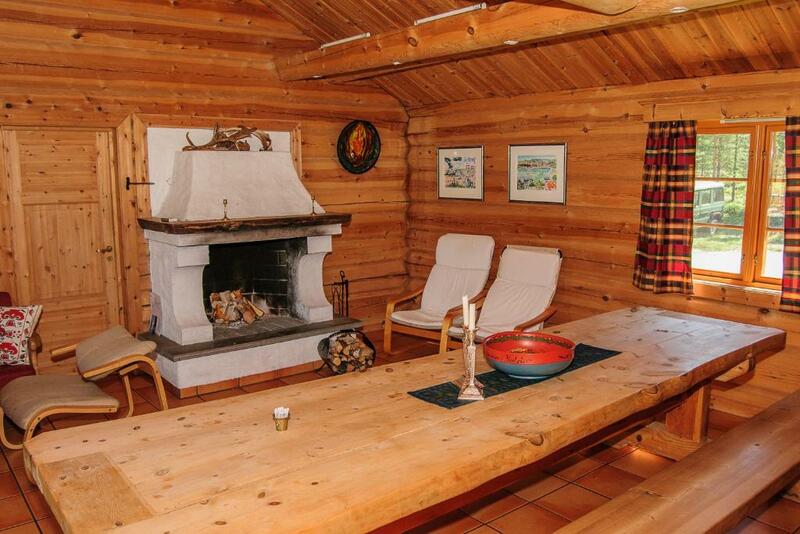 Fully functional two storied cottage where a large family can stay for more than a few days. I will definitely come back here just to spend a few days in Rondane. Tip : If you are coming from the fjords like I did, take the small unnamed road that forks out from fv491 in Dovre, you need to zoom in Dovre to find this road in google maps. There's a toll of 100NOK as part of it is a private road and the condition at some places are not very good but it is absolutely worth it. It is the only road through the Rondane National Park which is very unique. Make sure you have winter tyres if driving after September. Very Clean and kind host. Good for cooking. Children like 2nd floor bed rooms. Beautiful place. We have spend four nights at Ovre Nordli. The place is a good starting point for hiking, biking and canoing in the Rondane National Park. The Ringebufjellet is also not far away. The place offers a nice view, is very clean and had everything we needed for our stay. The hosts were very helpful and friendly. View was really nice over the mountains and forests. Rondane national park was very close. Property and its surroundings offered atmosphere which allows mind to rest (i.e. not much of other tourists, only two apartments). All basic kitchen utilities. Plenty of parking space. Must notice that only cash payment is accepted, we didn't notice and the host kindly accepted our cash in US dollars. 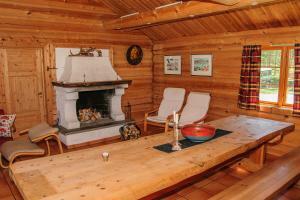 It's a very traditional cabin with every thing we need, perfect stay at the No 27th road. Surrounding is quite and beautiful, and we like our host and his handsome cat named Lion. Lock in a great price for Øvre Nordli – rated 9.3 by recent guests! 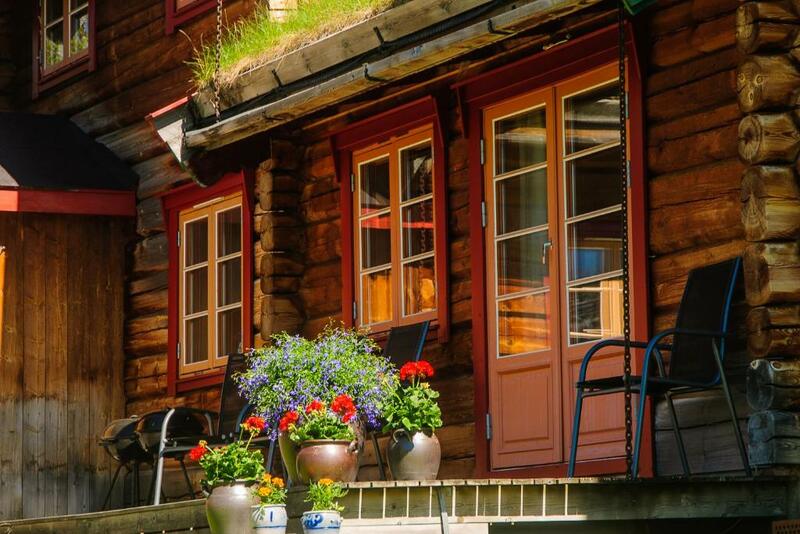 Offering a terrace and views of the mountain, Øvre Nordli is located by Nasjonal Turistvei Rondance. Gålå is 29 mi from the property, while Fondall is 22 mi away. Free private parking is available on site. All units feature a seating and dining area. Some units include a terrace and/or patio. There is also a kitchen, equipped with a dishwasher, oven and fridge. A stovetop is also offered, as well as a coffee machine and a kettle. Øvre Nordli features free WiFi . Øvre Nordli also includes a sauna. Bike hire is available at the property and the area is popular for cycling and fishing. You can engage in various activities, such as canoeing and hiking. Kvitfjell is 31 mi from Øvre Nordli. This property also has one of the top-rated locations in Atnfoss! Guests are happier about it compared to other properties in the area. This property is also rated for the best value in Atnfoss! Guests are getting more for their money when compared to other properties in this city. 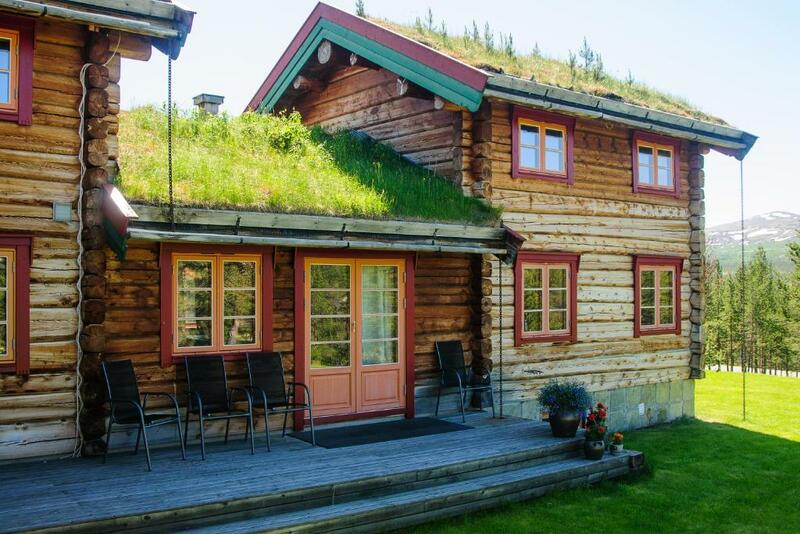 When would you like to stay at Øvre Nordli? 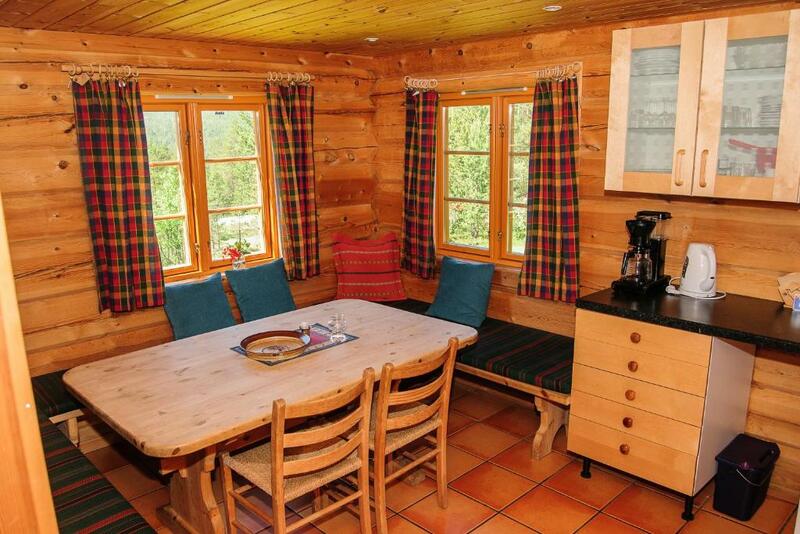 This holiday home has a view and kitchenware. Øvre Nordli har en fin beliggenhet med utsikt inn i Rondane Nasjonal park, ved Nasjonal Turistvei Rondane, en av de fineste veistrekninger i Norge. 1 km ned til Atnsjøen og 5 km til starten på fjellturen. 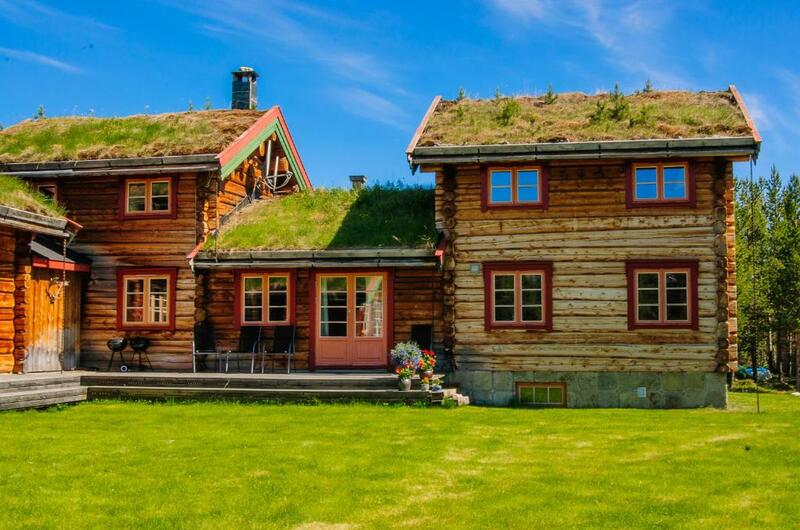 Huset er bygd i gammelt norsk, tradisjonell stil med stort tømmer og grass på taket. Vi er et pensjonert ektepar som har drevet en større turistgård tidligere . Nå koser vi oss på Øvre Nordli med kanoutleie og litt turister i vår trivelige utleie del. Vi liker å reise . De siste årene har det blitt mange turer til Kilimanjaro, Tanzania, hvor vi driver et lite barnehjem, ved grensen til nasjonalparken, turistmagneten som har glemt sine egne. www Rondane-kilimanjaro. Fra Øvre Nordli kan du ta korte eller lengre fotturer, skog og fjellturer. Du kan klatre på en av de mange toppene, over 2000m.o.h. i Rondane. Det er bare 1km ned til Atnsjøen. Vi leier ut kanoer for padling på elva, en stilleflytende, famlievennlig elv, 3-4 timer eller lengre. Vi leier også ut terrengsykler og det er mange fine fjell- skogsveier som kan brukes. Biltur til Grimsdalen eller Dørålseter ( inn i fjellet). Folldal gruver er verdt et besøk, ta gruvetog inn i gruva som er en spesiel opplevelse. Dagstur til Røros er mulig. Sollia kirke fra 1738 bygd for 4 familier, 25 km. Vannbruksmuseet har kunstutstilling i sommersesongen. ) . Butikken vår ligger 9 km herfra, et lite supermarked med godt utvalg av matvarer. Det er 50 km til Ringebu senter 0g 40 km til Folldal senter. House Rules Øvre Nordli takes special requests – add in the next step! You can bring your own bed linen and towels or rent them on site at an extra cost of NOK 100. Please inform Øvre Nordli of your expected arrival time in advance. You can use the Special Requests box when booking, or contact the property directly using the contact details in your confirmation. Beautiful place. Very nice and clean. Unfortunately there are no hiking tours with a baby buggy possible without using the car (but that’s nothing against the property). It was a little too Spartan for city folks like us. The lights in the cabin are really dim. I had to use s torch. The kitchen was very sparsely equipped too. The log cabins. They are beautiful and charming. No restaurants around, but the kitchen was nice so we made our own dinner and breakfast. Food places are far away but it is a cabin in the woods! Beautiful scenery and very welcoming couple! Wifi coverage was bit poor. It was available only on some parts of the apartment. Temperature on rooms facing morning sun began to rise quite fast after sunrise. On Booking.com confirmation email there was a wrong phone number (hosts have asked Booking.com to fix it but without result).